Links is a set of four, hand-designed art stamps from my Impression Obsession collection. Made in the USA, these stamps are deeply etched, red rubber that is backed with repositionable cling cushion. This set includes the following four stamps, each stamp measures between 5 3/4 x 1/2 and 5 3/4 x 3/4 inches. 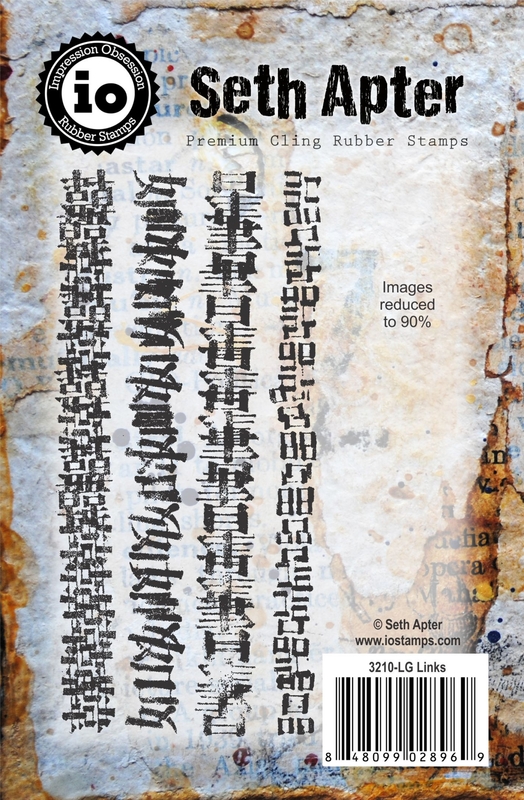 These stamps are ideal for creating borders and adding depth to backgrounds in all of your mixed media art.